OKLAHOMA CITY, August 3, 2010 – The Oklahoma City Thunder and FOX Sports Southwest have reached an agreement on an exclusive multiyear partnership that will allow FOX Sports Oklahoma to be the sole local and regional TV home for Thunder games. 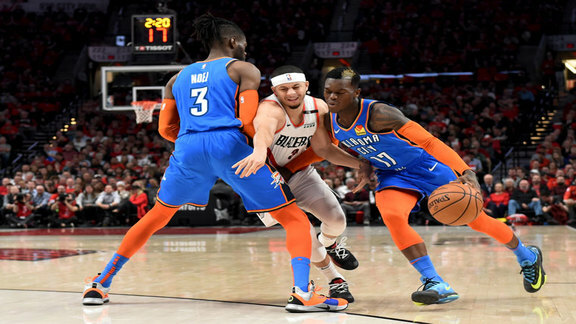 With the exception of some nationally televised games, FOX Sports Oklahoma will broadcast the entire Thunder regular-season schedule, beginning with the 2010-11 season. The announcement was made today by Thunder Chairman Clay Bennett. 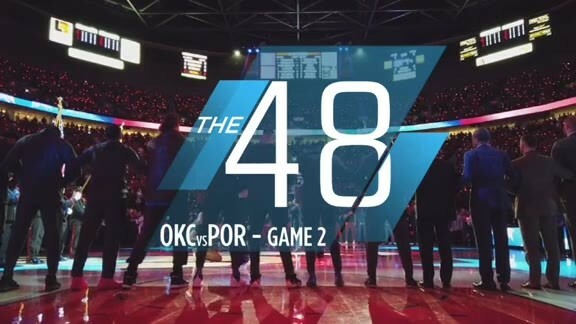 Carried in Oklahoma City on COX channels 37 and 722 (HD), FOX Sports Oklahoma reaches nearly 1.7 million cable and satellite homes throughout the state of Oklahoma and portions of Kansas and Arkansas. Because this is an exclusive agreement with FOX Sports Southwest, Thunder games will no longer be carried on KSBI-TV, the team’s over-the-air partner since 2008. “KSBI was among our key partners in the early development of the Thunder franchise in Oklahoma City and we offer them our sincere thanks for their strong support during those first two seasons. The quality of our broadcast made great progress during that period and KSBI was a significant factor in that effort,” Bennett said. During each of the 2008-09 and 2009-10 seasons, KSBI broadcast 17 Thunder games, with FOX Sports Oklahoma carrying the rest of the 82-game regular-season schedule. The Thunder TV broadcast team consists of play-by-play announcer Brian Davis and analyst Grant Long, who will be joined by sideline reporter Kelly Crull and studio hosts from FOX Sports Southwest. The entire 82-game regular season schedule will continue to be carried on the Thunder Radio Network, led by flagship station WWLS-FM (98.1) with Matt Pinto providing analysis and play-by-play. Fox Sports Southwest is a regional sports network that provides exclusive home team coverage of the NBA’s Oklahoma City Thunder, Dallas Mavericks and San Antonio Spurs; MLB’s Texas Rangers and Houston Astros; the NHL’s Dallas Stars; the WNBA’s San Antonio Silver Stars and Tulsa Shock; MLS’ FC Dallas; Dallas Cowboys shoulder programming; Big 12, SEC, and Pac-10 collegiate events; Texas and Oklahoma high school sports; Texas minor league baseball; and national programming provided by FSN. The network reaches more than 8.6 million cable and satellite TV subscribers in Texas, Oklahoma, Arkansas, Louisiana and parts of New Mexico. A separate branded FOX Sports Oklahoma feed serves the state of Oklahoma. FOX Sports Southwest annually produces over 500 events and 1,000 studio and magazine support programs, the majority of them in high-definition.